Bateman, Newton, 1822-1897, Ed. Illinois historical, editors: Newton Bateman, Paul Selby; and Wabash County Biographical, by Theodore G. Risley. Chicago, Munsell, 1911. McDonough, J.L. & Co. Combined History of Edwards, Lawrence & Wabash Counties,Illinois… Philadelphia, 1883. Hixson, W.W. & Co., Pub. Plat book of Wabash County, Illinois. Rockford, 1926. Rockford Map Publishers, Rockford, IL. Farm Plat Book with Index to Owners, Wabash County, Illinois. Rockford, 1962-. Rockford Map Publishers, Rockford, IL. Land atlas & plat book ... Edwards-Wabash County, Illinois. Rockford, 1978-. Bateman, Newton. 1822-1897, ED. Historical encyclopedia of Illinois, ed. by Newton Bateman, Paul Selby, and History of Warren County, by Hugh R. Moffet, Thomas H. Rogers. Chicago, Munsell, 1903. An Index to the names of persons appearing in The Past and present of Warren County, Illinois: Chicago, H.F. Kett and Company, 1877; prepared by Genealogy Projects Committee, the Winnetka Public Library, Winnetka, Illinois. Thomson, Ill., Heritage House, 1974. The past and present of Warren County, Illinois. Chicago, H. F. Kett & Co., 1877. Portrait and biographical album of Warren County, Illinois. Chicago, Chapman Bros., 1886. Robinson, Luther Emerson, ED. Historical and biographical record of Monmouth and Warren County, Illinois. Chicago, 1927. Hixson, W.W. & Co. Warren County, Illinois. Rockford, 1926. Ogle, George A., & Co. Plat book of Warren County, Illinois. Chicago, 1893. Stacy Map Publishers, Rockford, Ill. Farm plat book of Warren County, Ill. Rockford, 1946. Historical Society of Washington County, Illinois. Sesquicentennial Committee. This is Washington County; its first 150 years, 1818-1968. Nashville, Ill. 1968. Portrait and biographical record of Clinton, Washington, Marion and Jefferson Counties, Illinois. Chicago, Chapman Pub. Co., 1894. Washington County, Illinois, 1979 history. Nashville, Ill., Historical Society of Washington county, c1980. Winnetka, Ill. Public Library. Genealogy Projects Committee. An index to the names of persons appearing in History of Washington County, Illinois (Philadelphia, Brink McDonough & Co., 1879) Thompson, Heritage House, 1973. General Map Company, Rockford, Ill. Plat book, Washington County, Illinois. Rockford, 1952. Hixson, W.W. & Co.Plat book of Washington Co., Ill. Rockford, 1939? Ogle, George A., & Co. Standard atlas of Washington County, Illinois… Chicago, 1906. Rockford Map Publishers, Rockford, IL. Atlas & plat book, Washington County, Illinois. Rockford, 1973. History of Wayne and Clay counties, Illinois. Chicago : Globe Pub. Co., 1884. Kendall, Agnes Lownsdale. Index of proper names History of Wayne and Clay Counties, Illinois. Marion, Ind., 1947. Hixson, W.W. & Co. Plat book of Wayne Co., Ill. Rockford, 193-? Ogle, George A., & Co. Standard atlas of Wayne County, Illinois… Chicago, 1910. Rockford Map Publishers, Rockford, IL. Tri-annual atlas & plat book, Wayne County, Illinois. Rockford, 196-. Rockford Map Publishers, Rockford, IL. Land atlas & plat book ... Wayne County, Illinois. Rockford, 1976-. History of White County, Illinois. History of Illinois. Chicago : Inter-State Pub. Co., 1883. Rockford Map Publishers. Farm plat book and business guide, White County, Illinois. [cartographic material] Rockford, Ill. : Rockford Map Publishers, c1954. Rockford Map Publishers. Land atlas and plat book, White County, Illinois / Rockford Map Publishers. Rockford, Ill. : Rockford Map Publishers ; Carmi, Ill. : Distributed by White County Farm Bureau, 1982-. ROCKFORD MAP PUBLISHERS, ROCKFORD, ILL. OFFICIAL 3 YEAR ATLAS, WHITE COUNTY, ILLINOIS. ROCKFORD, 1961. Bastian, Wayne. Whiteside County / by Wayne Bastian. [Morrison, Ill. : Whiteside County Board of Supervisors], 1968. Bent, Charles, 1844-1926, History of Whiteside county, Illinois, from its first settlement to the present time; with numerous biographical and family sketches. Ed. by Charles Bent … Dixon, Ill., Print Shop, 1975. The Biographical record of Whiteside County, Illinois. Chicago : S.J. Clarke, 1900. Davis, William W. History of Whiteside County, Illinois from its earliest settlement to 1908 : illustrated, with biographical sketches of some prominent citizens of the county / by William W. Davis. Chicago : Pioneer Pub. Co., 1908. Geo. A. Ogle & Co. Plat book of Whiteside County, Illinois. Chicago, 1893. Geo. A. Ogle & Co. Standard atlas of Whiteside County, Illinois [cartographic material] : including a plat book of the villages, cities and townships of the county, map of the United States and world, patrons directory, reference business directory and departments devoted to general information / compiled and published by Geo. A. Ogle & Co. Chicago : Ogle, 1912. Rockford Map Publishers. Farm plat book, Whiteside County, Illinois. [cartographic material] Rockford, Ill. : Rockford Map Publishers, c1954. Genealogical and biographical record of Kendall and Will counties, Illinois : containing biographies of well known citizens of the past and present. Chicago : Biographical Pub. Co., 1901. Genealogical and biographical record of Will County, Illinois, containing biographies of well known citizens of the past and present. Chicago : Biographical Publishing Co., 1900. The history of Will County, Illinois, containing a history of the county ... a directory of its real estate owners; portraits of early settlers and prominent men; general and local statistics ... history of Illinois ... history of the Northwest … Chicago : W. Le Baron, Jr., & Co., 1878.  An index to the names of persons appearing in The history of Will County, Illinois / prepared by Genealogy Projects Committee, Winnetka Public Library. Winnetka, Ill. : The Library, 1973. Maue, August. History of Will County, Illinois. Topeka : Historical Pub. Co., 1928. Portrait and biographical album of Will County, Illinois : containing full page portraits and biographical sketches of prominent and representative citizens of the county, together with portraits and biographies of all the presidents of the United States and governors of the state. Chicago : Chapman Brothers, 1890. SOUVENIR OF SETTLEMENT AND PROGRESS OF WILL COUNTY, ILL.
W.W. Hixson & Co. PLAT BOOK OF WILL COUNTY, ILLINOIS. ROCKFORD, 1930. Rockford Map Publishers. Farm plat book, Will County, Illinois. [cartographic material] Rockford, Ill. : Rockford Map Publishers, c1957. Farm plat book and business guide, Will County, Illinois. Rockford, Ill. : Rockford Map Publishers, c1953. Erwin, Milo. History of Williamson county, Illinois. From the earliest times, down to the present, 1876, with an accurate account of the secession movement, ordinances, raids, etc., also, a complete history of its "bloody vendetta," including all its recondite causes, results, etc., etc., by Milo Erwin. Marion, Ill., 1876. Historical souvenir of Williamson County, Illinois ... / compiled and edited by J. F. Wilcox; and Standard atlas of Williamson County, Illinois ... 1908; and, Souvenir program of the Williamson County centennial celebration ... . Evansville, Ind. : Unigraphic, 1976. Crews, Bill D. Plat book, Williamson County, Illinois / [sponsored by Bill Crews]. [Marion, Ill.], c1959. Geo. A. Ogle & Co. Standard atlas of Williamson county, Illinois, including a plat book of the villages, cities and townships of the county. Map of the state, United States and world. Patrons directory, reference business directory and departments devoted to general information. Analysis of the system of U.S. land surveys, digest of the system of civil government, etc., etc. Compiled by Geo. A. Ogle & co., assisted in record work and platting by T. J. Youngblood... Chicago : G. A. Ogle & co., 1908. Bateman, Newton, 1822-1897. Historical encyclopedia of Illinois / edited by Newton Bateman, Paul Selby ; and History of Winnebago County / edited by Charles A. Church. Chicago : Munsell Pub. Co., 1916. Church, Charles A. History of Rockford and Winnebago County Illinois : from the first settlement in 1834 to the Civil War / by Charles A. Church. Rockford : Leonard and Mary Adrignola, 1985. Church, Charles A., 1857- Past and present of the City of Rockford and Winnebago County, Illinois, together with biographical sketches of many of its leading and prominent citizens and illustrious dead. Chicago : S.J. Clarke Pub. Co., 1905. Church, Charles A., 1857- Index of the city of Rockford and Winnebago County, Illinois. Winnetka Public Library. Genealogy Projects Committee AN INDEX TO THE NAMES OF PERSONS APPEARING IN THE HISTORY OF WINNEBAGO COUNTY, ILLINOIS THOMSON, 1973. Rockford Map Publishers. Plat book, Winnebago County, Illinois. [cartographic material] Rockford, Ill. : Rockford Map Publishers, c1949. Geo. A. Ogle & Co. Standard atlas of Winnebago County, Illinois [cartographic material] : including a plat book of the villages, cities and townships of the county, map of the state, United States and the world, patrons’ directory, reference business directory and departments devoted to general information / compiled by Geo. A. Ogle & Co., Chicago, assisted in record work and Platting by the Rockford Abstract Company, Rockford, Ill. Chicago : Ogle, 1905. H.R. Page & Co. Illustrated atlas of Winnebago and Boone counties, Illinois [cartographic material] : containing maps of every township in counties, with village and city plats, also maps of Michigan, Indiana, Ohio, Illinois / compiled from late and authentic sources, together with other valuable information. Chicago : H.R. Page & Co., c1886. The Biographical record of Livingston and Woodford counties, Illinois. Chicago : S.J. Clarke Pub. Co., 1900. Portrait and biographical album of Woodford County, Illinois : containing full page portraits and biographical sketches of prominent and representative citizens of the county, together with portraits and biographies of all the governors of the state and of the presidents of the United States. Chicago : Chapman Bros., 1889. Moore, R. L. (Roy Lewis) History of Woodford County. By Roy L. Moore. Eureka, Ill. : Woodford County republican, 1910. The Past and present of Woodford County, Illinois. Chicago : W. LeBaron, 1878. Radford, B. J. (Benjamin Johnson), 1838-1933. History of Woodford County : giving a brief account of its settlement, organization, physical characteristics, and progress / by B.J. Radford. Eureka, Ill. : Woodford County Journal, 1972. Woodford County Sesquicentennial History Committee. The Woodford County history, compiled by the Woodford County Sesquicentennial History Committee [with the cooperation of] Woodford County Board of Supervisors. Edited by William Yates. [Bloomington, Ill.] 1968. Combined Atlases of Woodford County, Illinois 1873, 1893, 1912, 1920. Mt. Vernon, IN : Windmill Publications, 1992. Geo. A. Ogle & Co. Standard atlas of Woodford County, Illinois, including a plat book of the villages, cities, and townships of the county. Chicago, 1912.